There's a lot of Minecraft going on in this house! The boys all love it and come up with some creative designs for houses, statues, machines and roller-coasters. Minecraft has a built in feature for taking screenshots 'F2' and I encourage them to do this if they have made something. Eventually we will make a slideshow video of them. 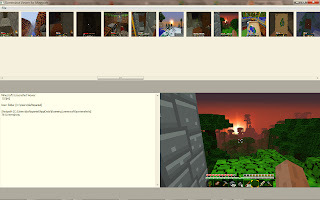 But there is no easy way to view the screenshots in the game and it is a bit 'hidden' under .minecraft so what a great excuse for a wxPython program. Not quite ready for the prime-time (needs Linux tested at least) but my eldest was impressed by the demo of it and is keen to get it installed on the main family PC. Ideas for features welcome - leave a comment! I would try to make the selected image as big as possible. One cool feature would be the ability to open Windows Explorer to the location of the image. Good idea - will look for a cross-platform way to do this. Thanks for the links Mike. I've committed the Windows version to SVN and will investigate the above when I get on my Ubuntu PC. I've created a Google code site for the blog. 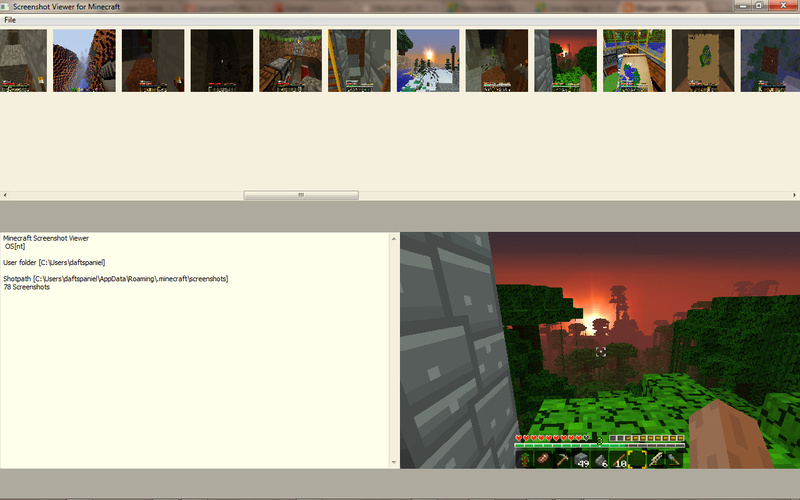 The current screenshot viewer is available here.